An appropriate 19th birthday present for my daughter? 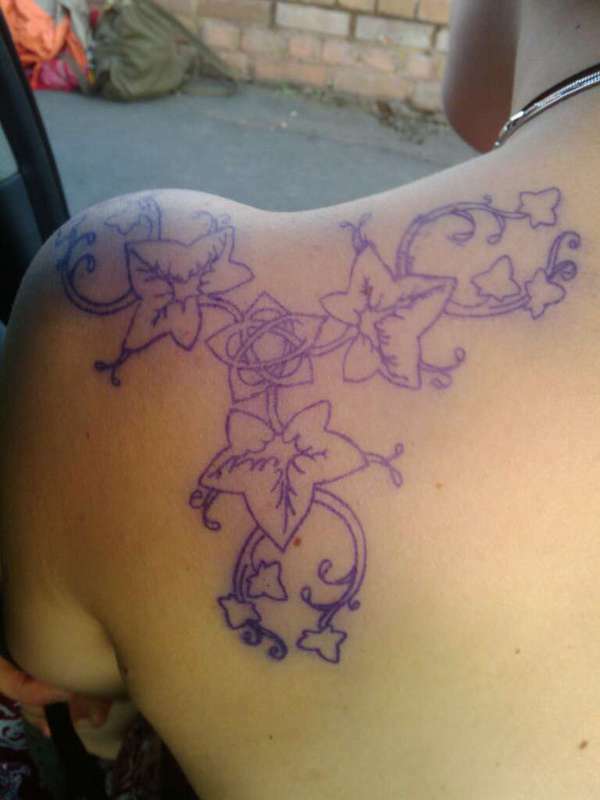 For her 19th birthday my daughter has asked for a tattoo. This is the design she came up with. I think it’s pretty cool but I’m not sure many would think it an appropriate present for parents to buy their offspring. However the tattooist, an old friend of mine, kindly reworked it and made the above transfer. She is very excited and I think it sits well on her shoulder. She’s going for the real thing next month, the day after her birthday. Hopefully she will not find the process too painful and remain pleased with it for many years to come. One thing for sure, I don’t mind paying for the tattoo but I’m not forking out for laser treatment should she change her mind. This entry was posted in Husband, Father, Dog Walker, The Rest and tagged Art, ivy, star, tattoo by RedEyedMonster. Bookmark the permalink.